Starting a family almost always carries a certain bit of uncertainty. What will the future hold? What will the child be like? Will my child be healthy? It can be scary. And adoption is certainly no different. “Most of us are afraid of what we don’t know,” says Dawn Davenport, Creating a Family. One of the most common fears, especially among adoptive parents, is the discovery of an unknown or unforeseen health issue. “This sort of risk, unfortunately, is not always preventable, despite parent’s best efforts to screen out difficulties,” says Kathryn Patricelli, MA. In Open and Semi-Open Adoption, a certain degree of information is shared between adoptive and birth families, including identifying information. 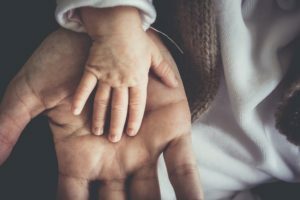 These adoptions may also involve continued communication, allowing adoptive families to learn more about their child’s birth family’s medical history. In a Closed Adoption, however, birth parents and adoptive parents do not meet. They do not share any identifying information about each other. They do not have any contact whatsoever, before or after the birth. They may not know anything about one another, however, birth parents’ medical history is often shared with the adoptive family. Fortunately, in domestic adoptions “birth parents are required to fill out medical background forms that are often available to the adoptive family,” says Patricelli. This will give adoptive parents at least some understanding as to whether their child may be susceptible to various genetic, medical, or psychological conditions. Still, there is no way to know for sure. “There are no guarantees in life-and especially no guarantees in parenting,” says Davenport. This is true for all parents, adoption or not. There is no way to know if your child will grow up with a learning, developmental, or physical disability. There is no way of knowing if your child will develop an illness. The good news is that “most of these ‘issues’ don’t affect parental satisfaction all that much,” adds Davenport. The key to parenting is Flexibility. “Parents who begin parenting with the right expectations and who are able to adjust and be flexible along the way seem to enjoy the experience most of the time regardless if their kiddo is pulling in A’s or C’s, regardless whether she has 1 friend or 10, and regardless if they bring him to occupational therapy or to baseball practice after school,” says Davenport. The only requirement for being a good a parent is LOVE. This entry was posted on Friday, February 1st, 2019	at 11:46 am	. You can follow any responses to this entry through the RSS 2.0	feed. Both comments and pings are currently closed.